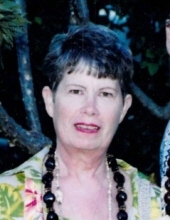 Joanne E. Schacherbauer, 74 of Rogers, passed away January 31, 2019 in Rogers. She was born November 15, 1944 in Oak Park, Illinois, the daughter of George Joseph and Helen Higgins Daley. She worked as a secretary. She is preceded in death by a brother Patrick Daley. She is survived by her husband Robert D. Schacherbauer of the home; her daughters Michele Aufleger, Christine Gager, Sandy Brown, Cindy Burclaw, sons Kelly Schacherbauer, Mike Schacherbauer, brothers Thomas Daley, Mike Daley, Dennis Daley, 20 grandchildren and 19 great-grandchildren. To send flowers or a remembrance gift to the family of Joanne E Schacherbauer, please visit our Tribute Store. "Email Address" would like to share the life celebration of Joanne E Schacherbauer. Click on the "link" to go to share a favorite memory or leave a condolence message for the family.